The new Hotel Artemis red band trailer has me apprehensively excited for the star-studded bloodbath. Starring Jodie Foster, Sofia Boutella, Dave Bautista, Sterling K. Brown, Jenny Slate, Charlie Day, Zachary Quinto, and Jeff Goldblum (at his Goldblum-iest as the villain) it boasts pedigree on par with a Marvel movie. Hell, half the cast is in Marvel movies already this year. 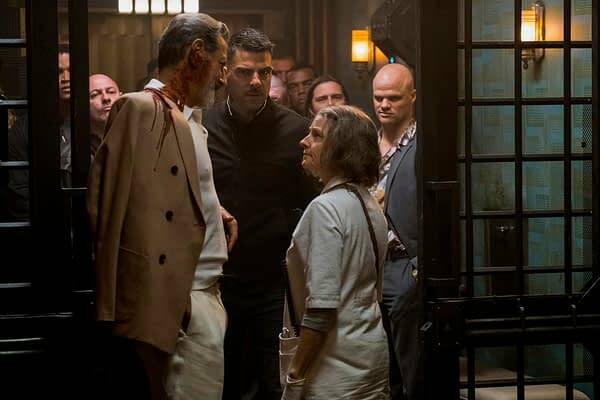 Jeff Goldblum, Zachary Quinto and Jodie Foster in HOTEL ARTEMIS. Drew Pearce, (co-writer on Iron-Man 3, story credit on Mission: Impossible – Rogue Nation) makes his directorial debut with the ensemble film. I’m on board just to watch Dave Bautista and Jodie Foster’s banter. Everything else is extra. 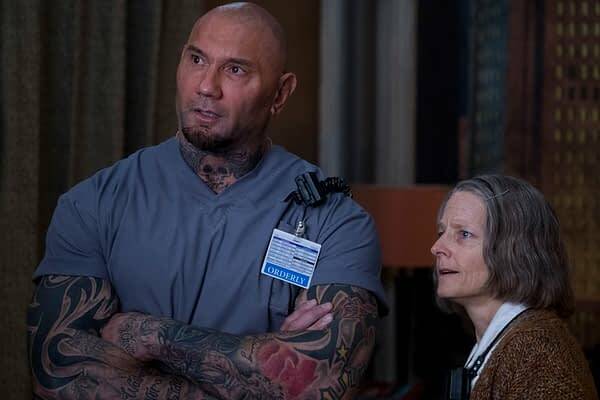 Dave Bautista and Jodie Foster in HOTEL ARTEMIS. Hotel Artemis releases in the US on June 8th and will show us if Deadpool 2 is destined to be the only R-rated action, violent comedy hit of the summer. 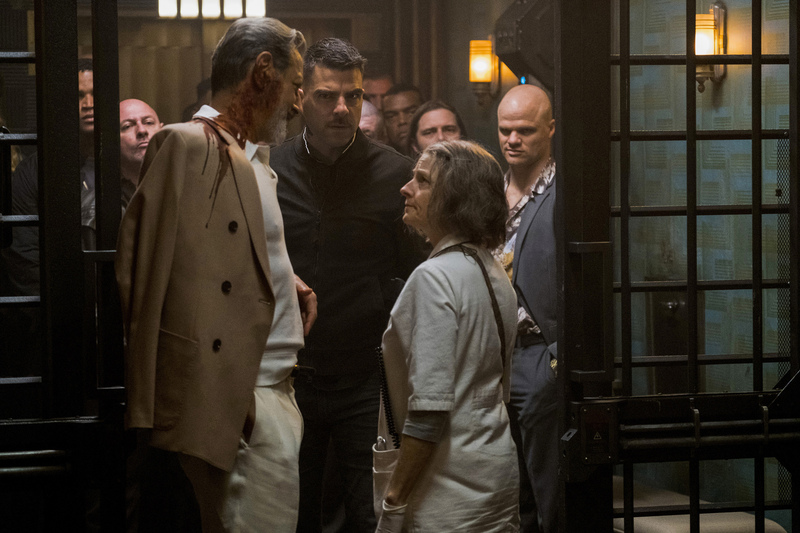 Hotel Artemis is gunning for it — the question is: can it pull it off? Dwayne ‘The Rock’ Johnson’s Latest Skyscraper Trailer Is Here!